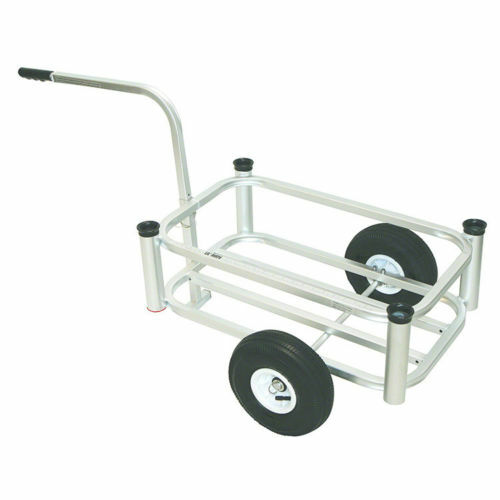 This Fish-N-Mate Little Fishing Cart is 14” wide and 26” long designed to carry all your fishing gears, equipment and other items all in one trip. 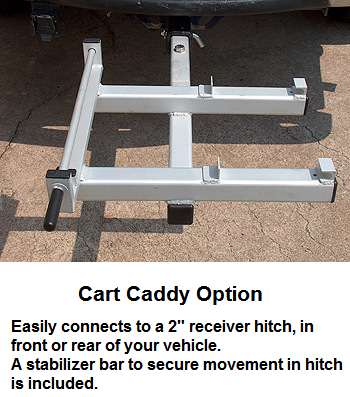 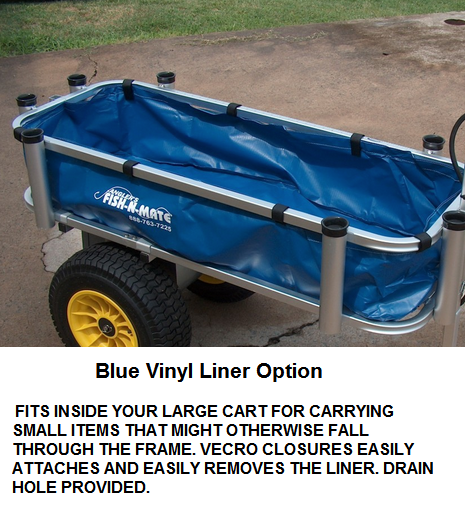 It is very portable and handy and securely holds everything you need in place and close by in case you want to use them making this cart a fisherman’s best friend. 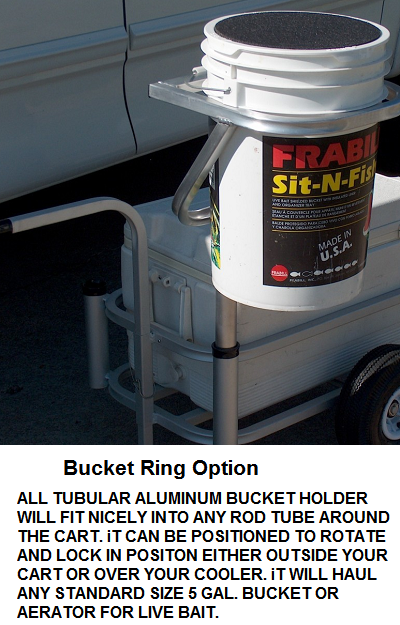 It is made out of durable anodized aluminum with corrosion resistance and a satin chrome finish providing it a better service life as well as an aesthetically beautiful look. 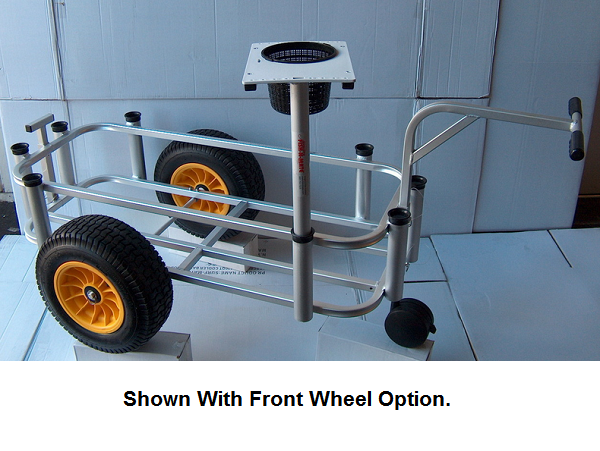 The fishing cart is equipped with two 10” pneumatic rubber tires which works well both indoors and outdoors especially on sandy surfaces. 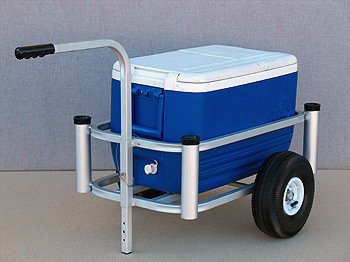 This Fish-N-Mate Fishing Cart comes with 4 fishing rode pole holders and can hold up to 54 quart cooler. 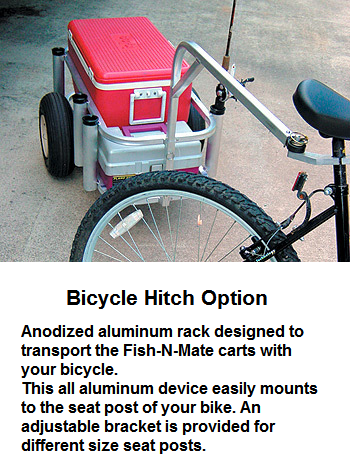 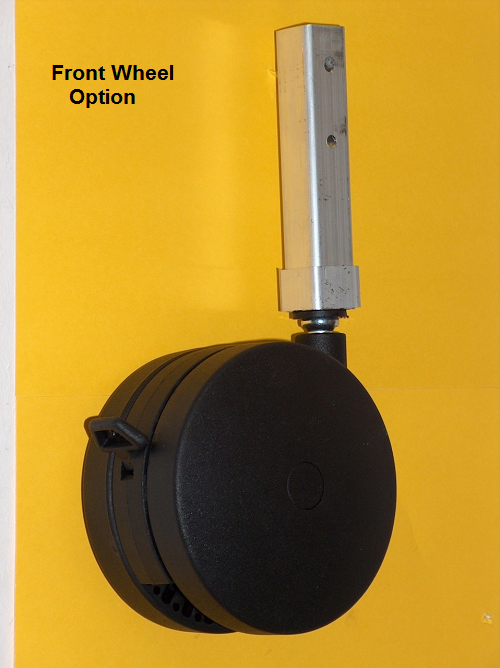 Numerous accessories are available to add convenience and to further assist you on your fishing trip.